Guys. Hey guys. You guys. Guess what time it is? That’s right. It’s time for Durango’s annual Snowdown! It’s gonna be a hoedown! Get ready for a throwdown! Ahem. The week-long winter party kicks off Jan. 29 and runs through Feb. 2. 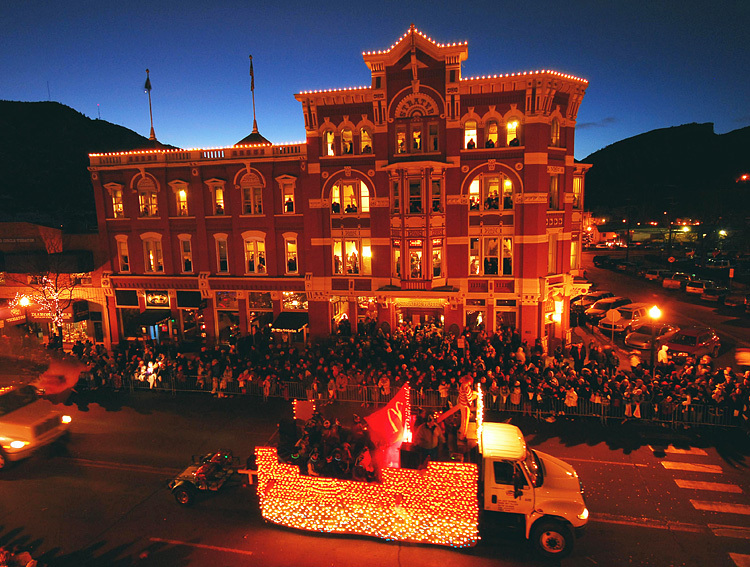 This year’s theme is “Safari So Good,” so be sure to keep that in mind during Snowdown’s shenanigans, including the costume ball and the crazy street parade of lights. 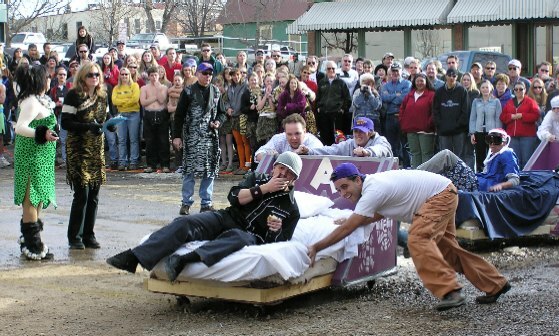 This is Durango’s 36th annual Snowdown, which got its start in 1979 as a way to give the town (and local businesses) a kick in the pants during the winter doldrums. Nothing says “winter” like…spaghetti? Eh, whatever. Slurp it up during the Snowdown Spaghetti Dinner 4:30-7 p.m. Friday, the 31st. The Durango Winter Sports Foundation is sponsoring the 13th annual spaghetti dinner, prepared by Mutu’s Italian Kitchen, and dished up at the Elks Lodge on 9th Street, just half a block from the parade. There will be two seatings for dinner: pre- and post-parade. The phrase “balloon rally” is kind of self-explanatory, but obviousness doesn’t make it any less spectacular to watch 25 beautiful hot air balloons ascending in the Animas Valley’s frosty early morning air. The Saturday “Mass Ascension” starts at 8 a.m. and is held next to the railroad tracks on U.S. Highway 550. In conjunction with the balloon rally, don’t miss the Snowdown Balloon Rally Train, which allows passengers to watch the hot air balloons take off from the comfort (and warmth) of the Durango & Silverton train. After the ascension over the Animas Valley, the Durango train continues to Cascade Canyon before returning around 1:30 p.m. Get your tickets now while the Durango train is offering a BOGO deal, which is only available by phone or in person. Call 888-872-4607 or stop by the depot at 479 Main Ave. in Durango. So, you get the drift: There’s gonna be a whole lotta of partying and crazy fun-having during Snowdown. That’s why you should book your room at the Durango Quality Inn today, so you can join in the five days of Snowdown shenanigans.